It was all about the number 24 on Saturday afternoon when five 24 foot boats took on the 2016 Latitude 18 Halyard Challenge. 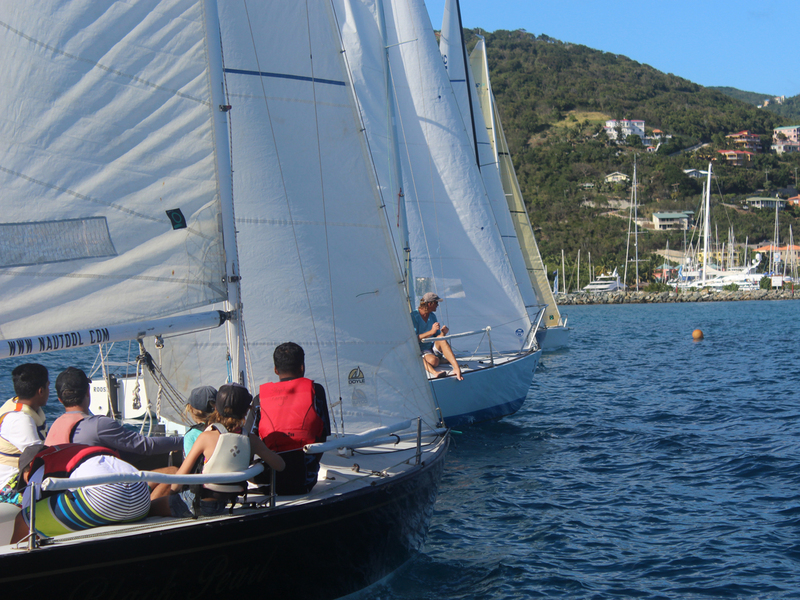 With the BVI Youth team outnumbering the adults across the fleet, two races were sailed in a light 5 to 8 knot easterly. The Melges 24 Firewater claimed overall victory with Jason Putley and Danny Petrovic each taking the helm in one of the two races. Racing got underway at 2 o’clock with a triangle-sausage style course set in the Sir Francis Drake Channel. Bunching at the pin end of the line, two boats found themselves with an early set back. Latitude 18 received a penalty for contact whilst Bravissimo was forced to bail out and come back to the line. It wasn't long before Firewater, the fastest of the five 24 foot boats, kicked up her heels, rounded the windward mark first and extended their lead to take line honours. Despite taking a penalty at the start, Nathan Haycraft skippering IC24 Latitude 18, showed local knowledge pays and sailed a steady race to finish a comfortable second. The other two IC’s, Roosta and Black Pearl, battled it out for third with J24 Bravissimo..
Rounding the leeward mark in third place was Kyle Roose on Roosta with Black Pearl chasing hard. A close tussle ensued between the two as they headed back up to the windward mark. It was the Pearl who eventually came out on top and held their position to cross the finish in third. The wind dropped slightly for the second race and the course was reset for a two lap windward-leeward. Once again, Firewater took an early lead and secured line honours to add another first place to their score card. The rest of the fleet were closely bunched together but once again it was Latitude 18, now skippered by Jerome Parkins, who drew ahead of the pack and secured another second place finish. Third around the windward mark was Bravissimo, closely followed by Black Pearl and Roosta, with new skipper Thad Lettsome. The race was on for third place. In the end just 31 seconds separated the three on corrected time and it was Black Pearl in third after she snuck past Bravissimo on the final beat. With two first place finishes Firewater claimed the 2016 Latitude 18 Challenge victory. Second overall was Latitude 18 with race one skipper Nathan Haycraft and race two skipper Jerome Parkins both claiming second place in the two races. 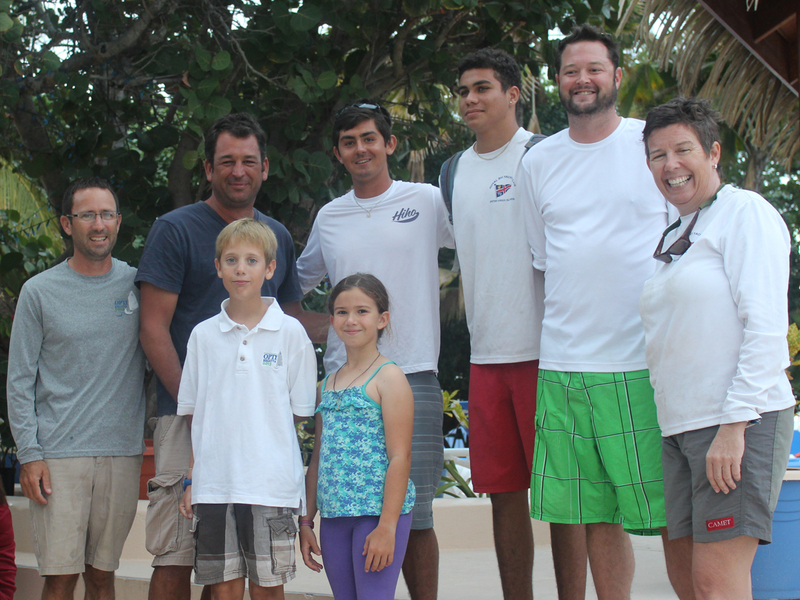 The Royal BVI Yacht Club's Black Pearl, with five Team BVI sailors aboard, took a solid third place and Bravissimo was fourth. Thanks to the race sponsor Latitude 18, all the competitors and the race committee team for an excellent afternoon on the water.